Gorkha Municipality organized integrating Recovery, Reconstruction, DRR and CCA into Municipal annual and periodic planning workshop in Gorkha Municipality facilitated by MoFAGA & NRA with UNDP's support. 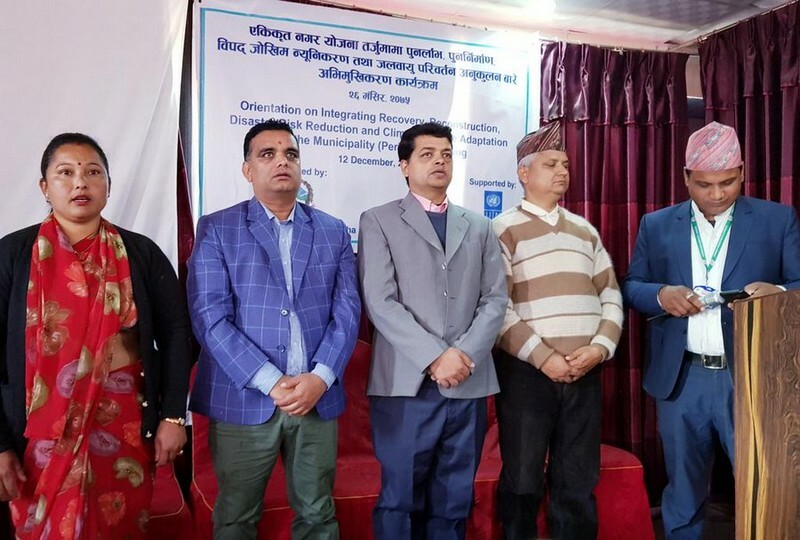 Workshop was attended by DibyaRaj Pokhrel; under secretary of NRA Nepal, Jiblal Bhusal; under secretary of MoFAGA and Jagannath Adhikari along with nearly 90 participants representing elected representatives, office of executive municipality, disaster management committee, civil society and private sector. Mayor & Deputy Mayor expressed commitment ensuring disaster resilience community is the prime goal.